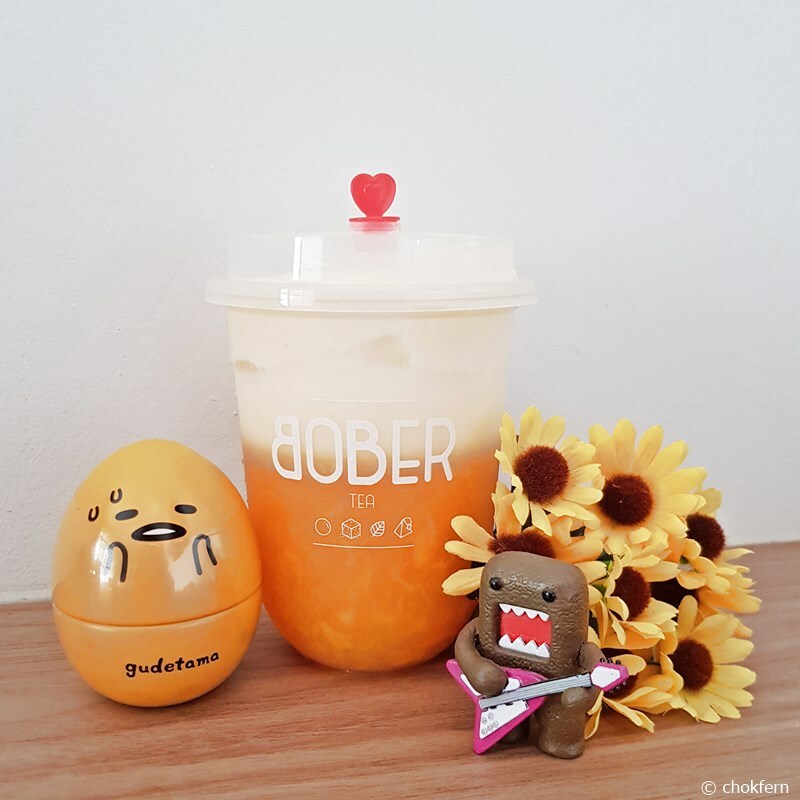 In recent super hot weather in Singapore, I have been having constant craving to get some bubble tea to indulge on. But every drink makes my one step further away from my goal of trying to cut down my ‘baby fats’ (after 3 years of delivery?!). 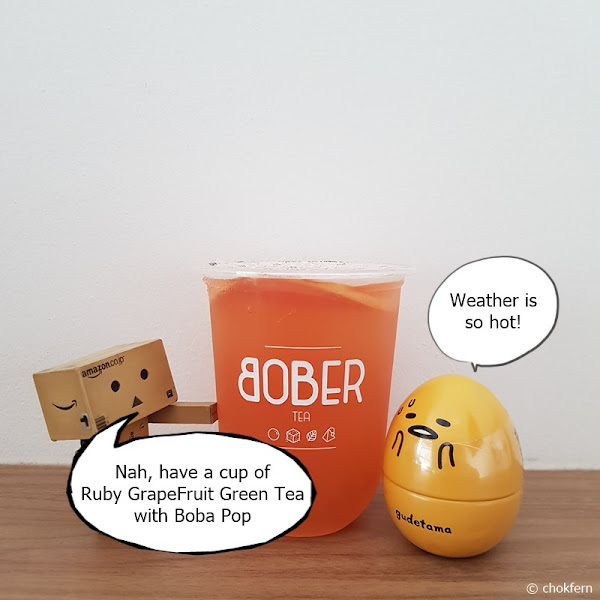 Recently Irene shared with me about the newly opened Bubble Tea – Bober Tea in Bishan. To my delight, there are a wide variety of drinks available – including a lot of fruity (healthier choices) drinks, and they use premium ingredients such as Pure Matcha Powder and Hokkaido Milk! 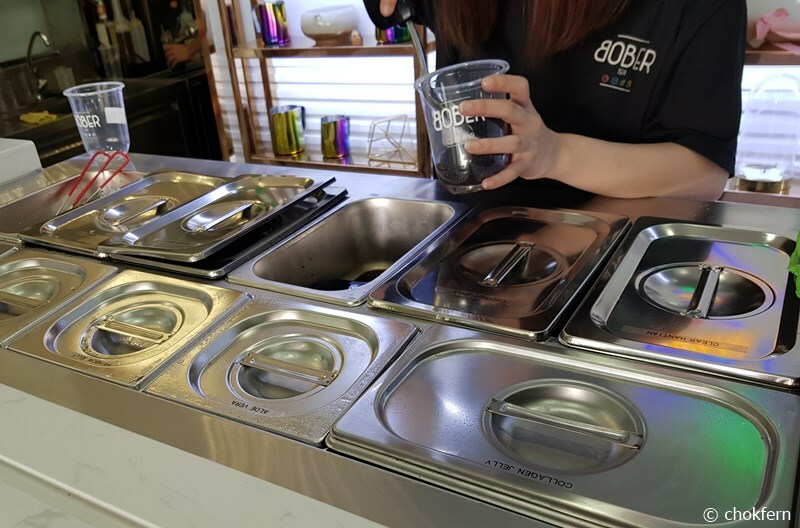 There are also toppings like Konjac and hantien/kanten(寒天) available – which contains almost no calories and is very high in fiber. Tried on a few flavours and like that most of the taste of these drinks come from the ingredient itself (unlike most other bubble tea which put in a lot of syrups and artificial flavoring in their drinks), thus it does not taste as sweet and ‘artificial’. The Supreme Fruit Burst Green Tea (only available at 1000ml) comes with a various fresh fruits such as passionfruits, strawberries, lime, watermelon, and orange. I took this thirst quencher after doing my household chores and appreciate the generous amount of fillings. I begin to fall in love with grapefruit a couple of years ago when I was trying to slim down. It is well known for containing high levels of vitamin C and provides health benefits for the skin, blood pressure, heart health, and disease prevention. 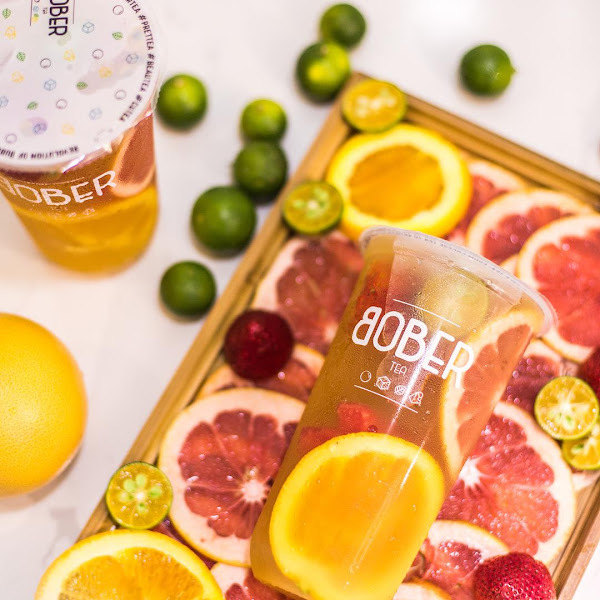 The Ruby GrapeFruit Green Tea with Boba Pop comes with slices of fresh grapefruit and boba toppings. Moutain tortise me had never tried popping boba before so it comes to me as a pleasant surprise when I ‘accidentally’ popped one of them and bursting they make drinking the tea so fun. 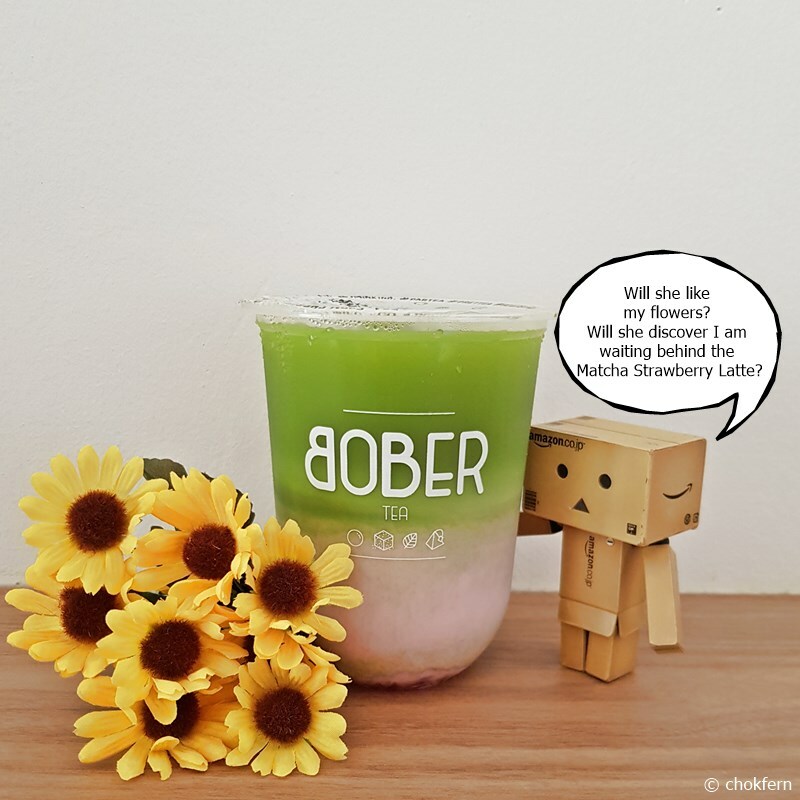 Was quite surprise to see the staff mixing real matcha powder and carefully pouring it over the strawberry milk to achieve the ‘layering effect’ when making my order for Matcha Strawberry Latte. I personally like this drink a lot as it allows me to taste the real matcha mixed with the sweetness my favourite Meiji strawberry milk. But it might not be the top choice for those in a hurry, or preferred ‘sweet matcha’ consumers. 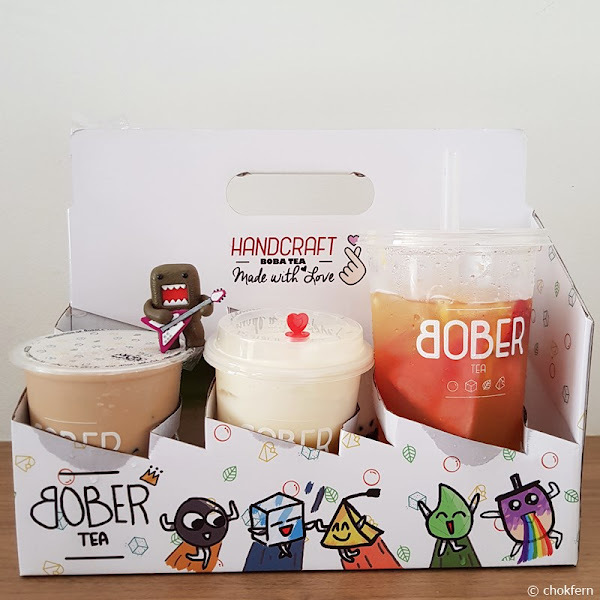 This interesting 3 Hei Milk Tea comes with Hantien (or kanten/寒天), Black Konjac and Grass Jelly is highly recommended by Sis. As mentioned, Hantien/kanten/寒天 and Konjac contains almost no calories and is very high in fiber so they are good for people like me who need to watch out for my calories intake. One will feel full easily thanks to these healthier choice of topping, so don’t attempt to finish one whole cup by yourself if you have just have a heavy meal! The first impression when I was served the Hokkaido Milk Cap Mango is – the little red heart shaped stopper is so cute!!!! 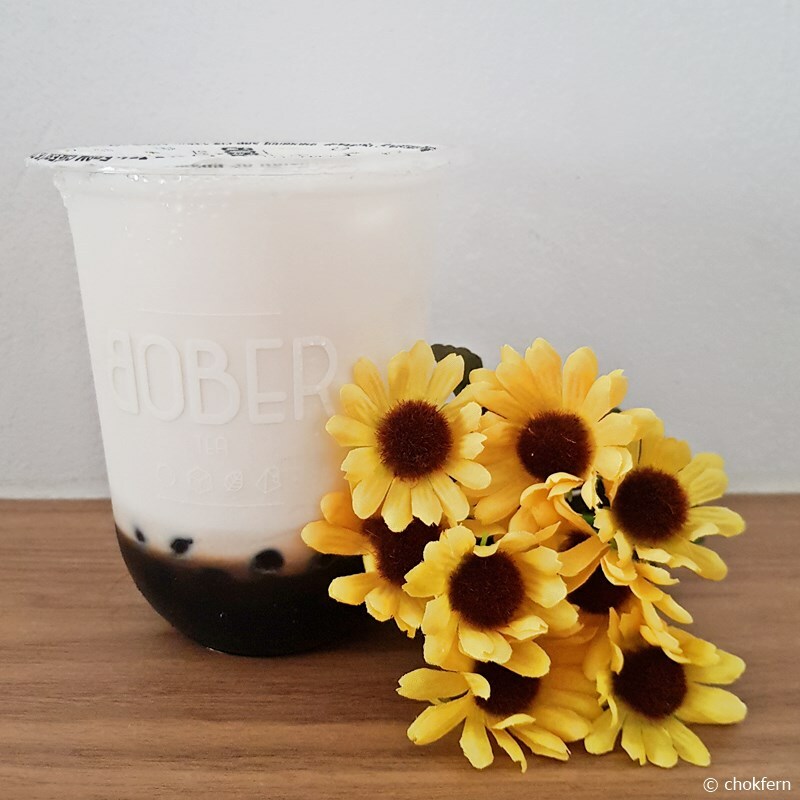 The foamy layer of Hokkaido milk remind me of the cheese tea offered by another bubble tea but using Hokkaido milk instead of cheese/cream means the taste will be lighter and healthier :). Sweetness of the drink mainly comes from the real mango and I love sipping the drink through the cap instead of straw for whatever reason. 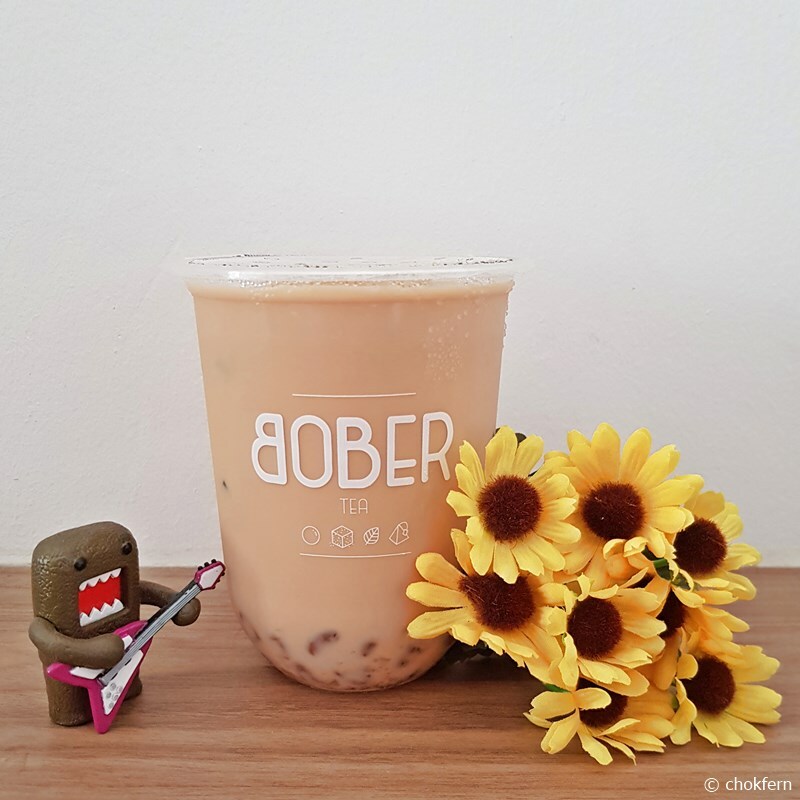 Interestingly, the 100% sweetness Brown Sugar Fresh Milk with 65°C Boba is not as sweet as I expected, the Boba is harder than normal Boba though. 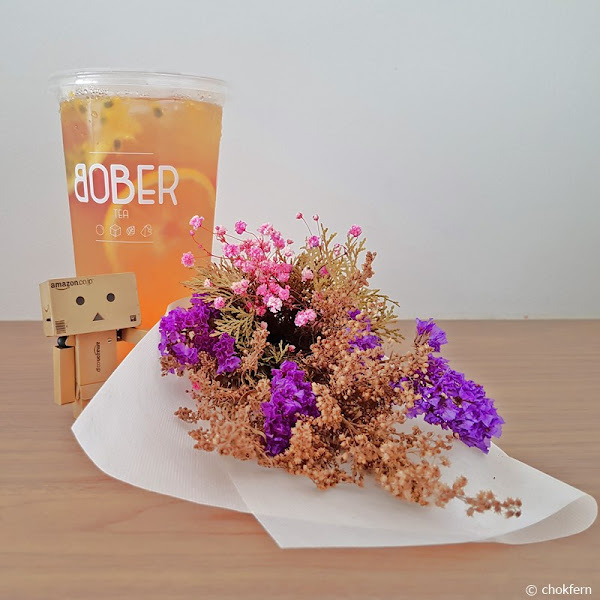 It’s a safe choice for those who are not very adventurous in trying new flavour of bubble tea drinkers. Bober Tea aims to provide affordable, high-quality and tasty blends of artisan tea with a gist of local flavour inside. 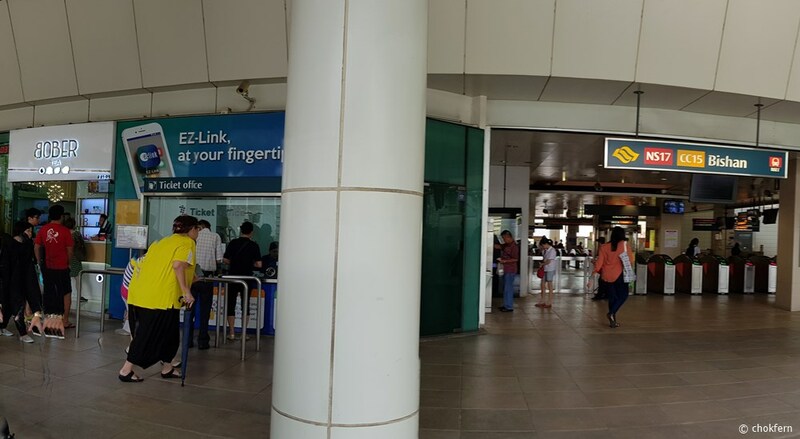 The founder wants to provide superior quality of overseas tea quality coupled with the fusion of high grade bobas to Singapore. Knowing how most people are more health conscious these days, Bober tea inspired to provide good taste as these without artificial ingredients from processed factories (their bobas are homemade).